Once an entrepreneur has taken the bull by the horns and started his or her own home based business, the time has begun to tackle all of the little tasks that go along with it. One of these– and one that some people seem to fear more than many others –is copywriting. Tips for creating effective copy for your company’s Internet presence can only help you to manage a better and more effective interface with clients and other businesses. After all, let’s face it, in the modern business world it is most often the copy on your website that is read first. The first task in writing good copy for your website is to make the content seem interesting and lively. So much of what people read on the Internet can be dry as melba toast, and it can actually help your cause to make your information just a little bit blustery, just to keep things lively. Using hyperbole to make a point is not a bad decision– in fact, it can add to the readability of your text. 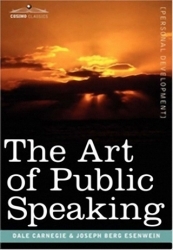 In addition, you will want the reader to feel that he or she is being spoken with, directly. The best way to manage this is to use the word “YOU” as opposed to referring to things in the third person (they, he, she, etc.). Once the potential client feels directly addressed in your content, he or she may be less likely to click away from the information before completing it. Any copy that needs to reach the clientele will need to have a hook, so it is a good idea to never underestimate the power of a good headline. Yes, it is the shortest part of your copy… but it is also the segment that will determine whether most potential clients ever even decide to look at the rest of the content. Find the most important part of what you are trying to tell the customer, and LEAD them into it with the headline. From that point, once you have their attention, you can use your interactive writing to keep them occupied. Most experts agree that copy on your website should generally be written at about an 8th grade reading level, so as to make the content accessible to a wide variety of potential customers. Some people feel very uncomfortable with writing their own copy, while others have a definite knack for it. Even if it doesn’t seem to come as easily, one of the best things that you can do for the sake of your company’s website is to keep writing copy for it. You may not even use all of it, and you may only use your own copy for certain elements of the business, but it will help to give you ownership of your company… and it will definitely lead you to become a better copywriter at the same time. Most importantly, it places the stamp of your written personality there for the client to interact with. Are you ready to learn how to grow your own business and receive some outstanding copywriting tips? Take a moment and visit my website at www.meetscottewart.com to see how I can help you create the copy that will take your business to the next level. Productive list building is a vital factor to Internet based marketing campaigns today. Squeeze pages are generally a one page mini website that gives a bonus or giveaway to the visitor. In return for your freebie, they are opting to join your list. It is much better to have a responsive list interested in what you have to offer as opposed to a much larger list where the subscribers are not interested in your product or service. The goal is to create a high quality list. Don’t SPAM your list. Don’t send them 3 or 4 emails a day (Trust me, some people do). Email them useful information. Adopt a give and take relationship both ways. Last but by no means least, grow your list using viral marketing techniques. This system will assist you to build huge and targeted list just like a virus. Viral Marketing is focused on getting members of your list to pass on your details to friends and associates.